Continuing my challenge updates, I’m looking at two more books I read with odd criteria. I picked these up at the library the same day, because they were the kind of criteria I felt I could only fulfill by literally going to the library and pulling something off the shelf more or less at random! I decided if I was going to read by cover alone, I’d be better off in the kids section…and I decided that cover included title and any words on said-cover. 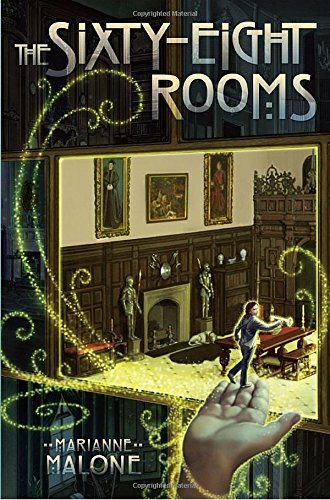 So when I found a cover that appeared to show a girl being lifted into a room by a giant hand, with an intriguing title and a tagline about unlocking the secret of the Thorne rooms, I figured it was worth a go. It turned out to be a story about Ruthie and Jack, who find a magic key that lets them shrink down in size and enter a series of tiny rooms on display at a museum—and eventually to travel into the past through the rooms. Which, I have to say, is a pretty great premise to stumble into by chance! This is a good fantasy, especially if you like relatively tame adventures. They get into some trouble by venturing into the rooms, and into the past, but nothing very scary and there’s no overarching epic story to the adventure either. The adventure has some nice results, but is mostly just a cool exploration of interesting places. This also turned out to be a somewhat rare thing in books—a friendship between a boy and a girl that stays totally platonic. Granted, Ruthie and Jack are only about twelve, but I feel like most books are either about siblings, same-gender friends, or veer into at least a hint of flirting. This is just a story about two kids who are friends, and happen to be different genders. It’s not really coincidence that I ended up with two books from the M section…that’s where I was looking. 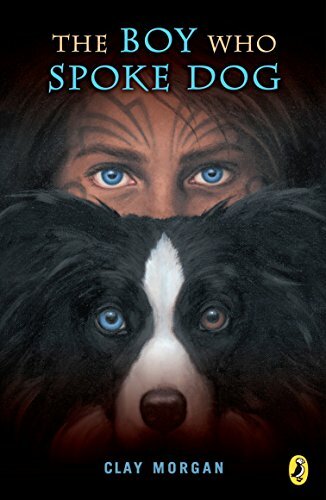 But I got to read the summary of this one, and was intrigued by a castaway story of a boy who forms a special friendship with a dog. This one turned out to be a nice concept with iffy details—and I got so hung up on the details it kind of spoiled things for me. The island Jack lands on was abandoned by its human occupants years earlier, but the sheep dogs are still there, and still guarding and herding the sheep. They’re also at periodic war with a group of dogs who have turned feral. And the problem is…the sheep dogs don’t kill the sheep. Nor is it clear that they’re hunting anything else on the island. And in fact, one of the dogs thinks at one point that if the wild dogs kill a sheep, that means the sheep dogs get to eat. So…I think the sheep dogs only eat when the wild dogs get past them and make a kill. Which they’re exerting all their effort to prevent. And…that just doesn’t make any sense. Similarly, Jack seems to solve the problem of survival within a few days, despite not having much of anything to work with, and then doesn’t appear to need to exert himself greatly after that. And I just couldn’t get behind a castaway story where survival is that easy (I read Hatchet, it’s hard work!) and, most crucially, eating is apparently an optional thing. Which is really too bad, because the friendship between Jack and Moxie, one of the dogs, is really quite nice, and the sections from Moxie’s point of view were pretty clever, as she tries to understand this strange human…but seriously, they have to be eating! I hopped over to Goodreads to add the 68 rooms to my list – but was put off by the numerous reviews saying how the premise was great but the writing… not. Would you say that was realistic? I think the writing was a little simple, as one would expect for a Juvenile book, but I didn’t notice any glaring issues. I have noticed this is a series–I haven’t read beyond the first one, so I don’t know how things go in the later books, if that might be influencing reviews.